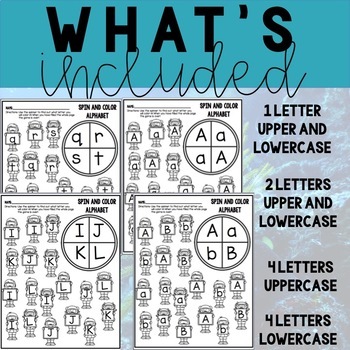 Want a fun and easy way to engage your students with the alphabet? 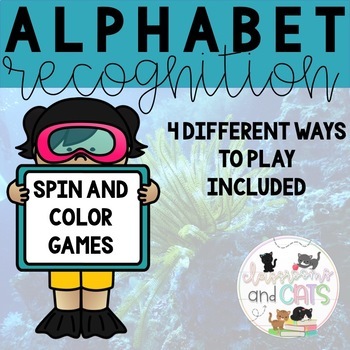 Look no further than these alphabet spin and color sheets. There are a total of 53 different pages for this game! There is also no prep for these. Simply print them out and you are ready to go. 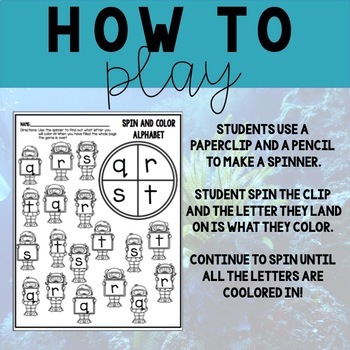 The only thing you need to provide are paper clips and pencils to make the spinner. Also, if you want to save paper you can place these in a page protector or you can laminate them.